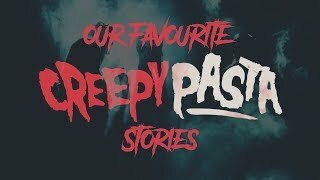 With The ParaPod movie due to be released later this year, it's time to brush up your knowledge the everyone's favourite paranormal podcast. Can you answer these twenty tricky questions based around Barry Dodd's tales of some of the most famous mysteries legends and myths of all time? All the questions in this quiz revolve around the second series of the The ParaPod. The game also includes questions about Barry's famous rituals, which his co-host Ian Boldsworth was forced to sit through at the end of each episode. 1. In which country did the myth of the Chupacabra originate? 2. In one episode, Barry was forced to make up a ritual on the spot. Which of these was NOT needed to perform the "The Black Stranger Game?" 3. What did Ian convince Ray was the plural of Bigfoot? 4. Which fictional creature did Barry try to summon in a ritual which involved rubbing his face on a tree? 5. How does Barry explain the mystery of the Mary Celeste? 6. In Spontaneous Human Combustion, Barry says it takes how long for the body to burn? 7. Barry was disappointed to learn that his mystery of the Chupacabra was actually based on which movie? 8. Barry admits that the famous Surgeon's photo of Nessie is fake, but what does he think we're really looking at? 9. Barry sent a photo of what to his mum when trying out a photo app called Prisma? 10. Who did Barry describe as "as close as we've got to the Devil on Earth?" 11. Ian told Barry that there is statistically more chance of whose album being in a house fire than the Crying Boy painting? 12. According to Barry, what creature lives in clans like "rough families on a council estate?" 13. In episode two, Barry tells us about the very haunted Poveglia island, but off which country's cost does the island lie? 14. Barry accepts that Slenderman was once fictional but says it now exists, but what is he? 15. Barry claims that Russian scientists have drilled a hole so deep in Siberia that you can hear what? 16. When trying to convince us that the Rendlesham Forest UFO incident really took place in 1980, what "evidence" did Barry use? 17. What is unusual about Overtone Bridge, according to Barry? 18. Barry claims that aliens moved stones from Wales to build Stonehenge as a landing site, but what reason does he give for the them building the structure in Wiltshire? 19. What was the reason Barry gave for why the most famous piece of Bigfoot video evidence couldn't be a fake? He said "if it was faked, why would you..."
20. After a tip off on Twitter, Barry became convinced that the creature from which horror movie was real? How Well Do You Know Your Supernatural Beings? 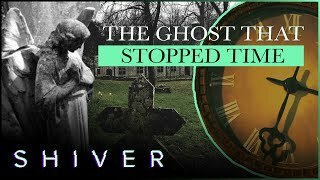 Has A Ghost Ever Killed Anyone?